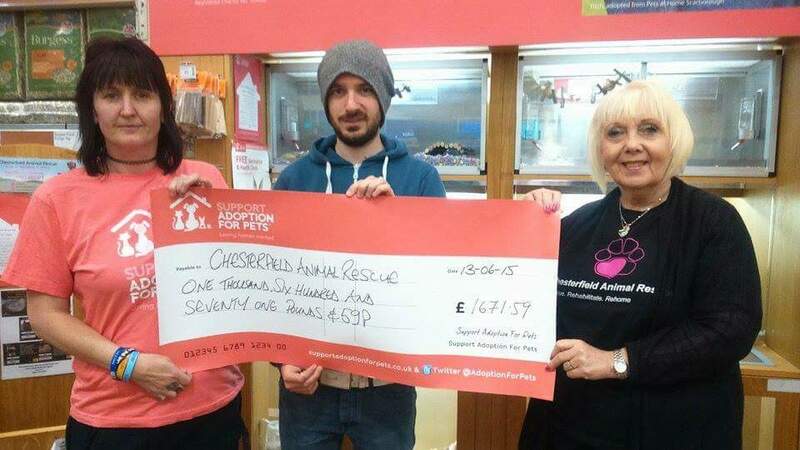 We would like to thank everyone at Support Adoption for Pets, Pets at Home Chesterfield and the very kind people that donated to help us during the #MakesMeSmile campaign. We raised an amazing amount which will really help us to save lives, and of course the more we raise the sooner we will have our very own centre. We would also like to give a special mention to those people that helped our regular team members by volunteering their time on the stall to help sell raffle tickets. Without the help of you, the public, we wouldn’t have raised both the awareness of the rescue and animals in need or as many donations so once again a huge round of applause for all those that helped! Keep an eye out for our next fundraising event and maybe you could help us to keep doing a great job.